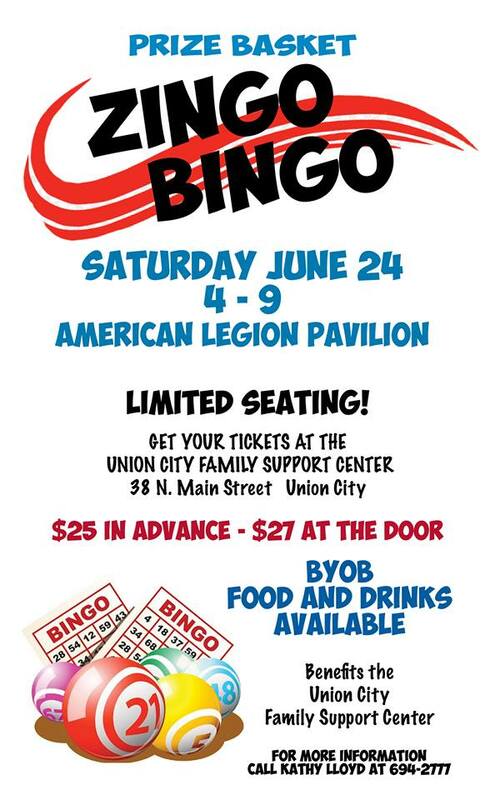 2017 Zingo Bingo on Saturday, June 24, 2017 from 4pm to 9pm at the American Legion Pavilion. Limited seating! Get your tickets at the Union City Family Support Center at 38 N. Main Street, Union City, PA 16438. $25 in advance – $27 at the door. B.Y.O.B., however food and drinks are available.